Is the daily grind wearing you out and making you wonder if the time is right to start exploring new opportunities? Consider the fact that with motivation and the right resources, anyone can be an entrepreneur — it just takes making the right moves when you first start. What if you had the opportunity to do something you were truly passionate about every day — and what’s more, at your leisure? You could be your own boss, set your own hours and explore what the independence of being a business owner is like. For those who love an active, outdoor lifestyle and have a deep connection with dogs, running a mobile pet grooming business could be the perfect solution. 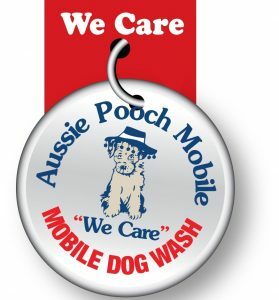 At Aussie Pooch Mobile Dog Wash & Grooming, we’ve perfected a complete system, from the equipment we use for washing to our customer service protocols. Put together, these elements allow our franchisees to thrive in diverse markets all around Australia, developing long-term relationships with satisfied customers. With complete training available, those with and without experience are welcome to join our team — all you need is the desire to see your clients smiling. Let’s take a quick look at some of the stand-out reasons for considering our mobile pet grooming business for sale. First, our goal is to equip every franchisee with the tools necessary for success. You don’t receive a packet of materials and a push out the door from our team. Instead, we take the time to work closely with you as you develop the skills and practices necessary for success. There is no one optimum level of investment for every franchisee; whether you want to grow a business and employ others or you simply want to work for yourself, we have investment levels to fit your goals. Next, you’ll quickly find that once you close on a mobile grooming business for sale and begin work, attracting new business simply requires a bit of effort on your part; just like every self operating business. The Aussie Pooch Mobile trailer is incredibly easy to maneuver (even into smaller properties) and its vibrant branding — plus the dog inside enjoying its bath — works to attract more interest in your services. Finally, working as a groomer this way offers a clear way to develop a business without infringing on your lifestyle. For those with young families and many daily responsibilities, this is an excellent opportunity. Work the hours that work best for you — not the schedule produced by a computer in some far-flung corporate office. learn more, or to request additional materials, please submit your enquiry online or call 0411 553 796.